Ahhh velvet. Plush, luxurious and oh so comfortable. 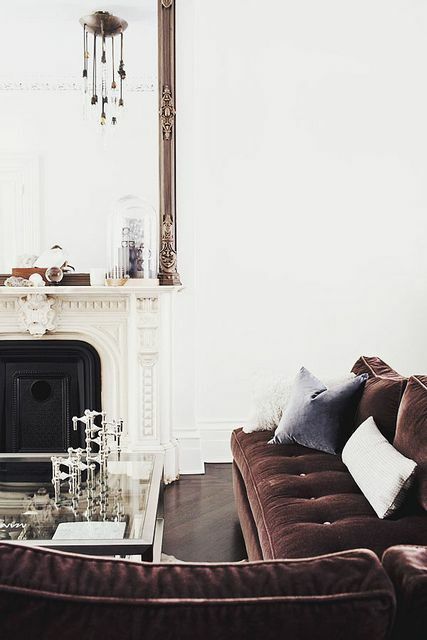 I’ve always wanted a big velvet sofa – it seems so grown-up and fancy, don’t you think? Whether in a bright shade or neutral, it brings an air of sophistication to any space. I have my eye on this particular sofa by Jonathan Adler – so chic and would look great with any number of different color schemes! Also loving on this gorgeous deep blue ottoman – dying! 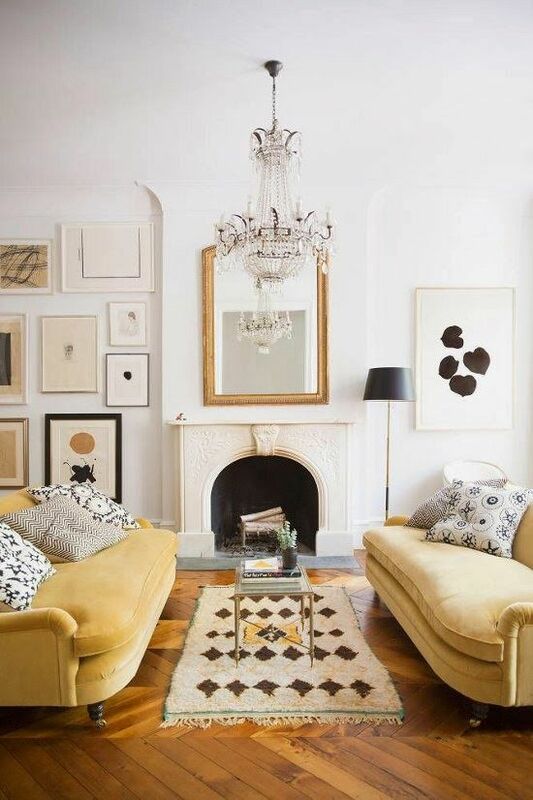 I hope this interior inspiration gets you calm and collected before the weekend – have a safe one! The chairs in the second pic i am in love, and now I am convinced that I need a velvet headboard. 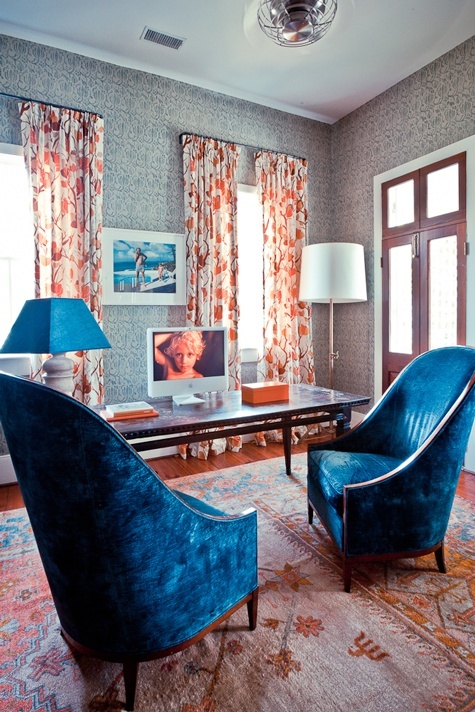 Adore all of these rooms, and that Jonathan Adler couch is BEYOND!! Makes me wish I lived in a cute pre-war apartment with lots of character! Wow, what a lovely blog! I am completely smitten… and this velvet feature is to die for! Since I work for an interior designer, I get to touch and try out all kinds of luxurious velvet fabrics and OH MY is luxurious the right word for it. Sometimes velvet makes me think of weird clothes I wore in elementary school but these photos perfectly capture how lush the fabric really can be! 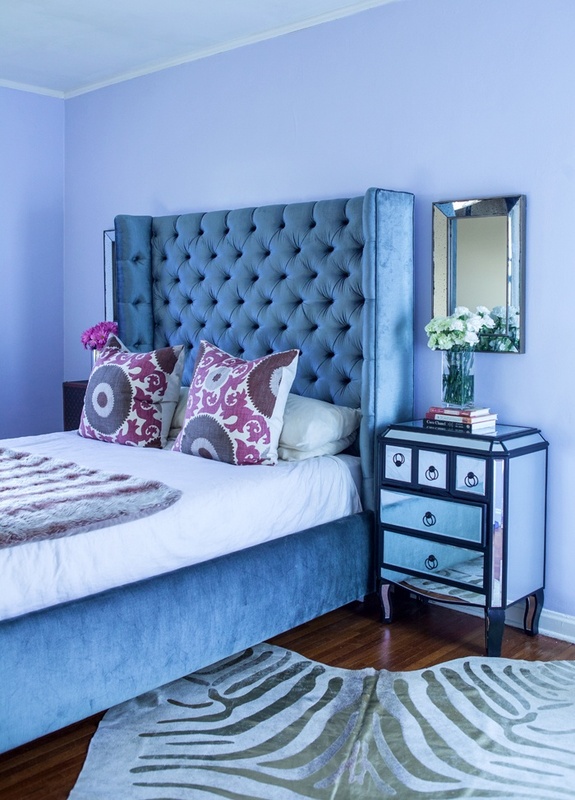 I’m not gonna lie – velvet is not my favorite fabric, but I do love that velvet headboard. A LOT. I loooooove velvet!! I think it makes any color look good…and oh so chic! beautiful images! I love that lavender-colored wall for my first, post-college apartment!! I am in love with all the velvet in these photos! 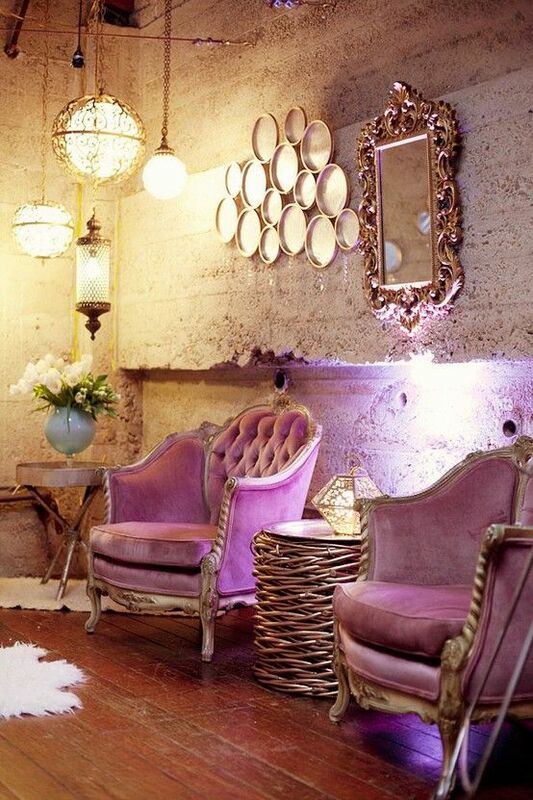 It feels so luxurious and glamorous, yet I can imagine myself feeling so at home in these rooms. My space is a little too small for all this beautiful decor, but a girl can dream, right? LOVE velvet! I desperately want a blue velvet couch for my house, but have so far settled for a blue velvet bench (awesome target find!) for my office entry. gorgeous. Oh velvet, how I adore it! These house and decorations are just wonderful, I cannot wait until I get my first house. 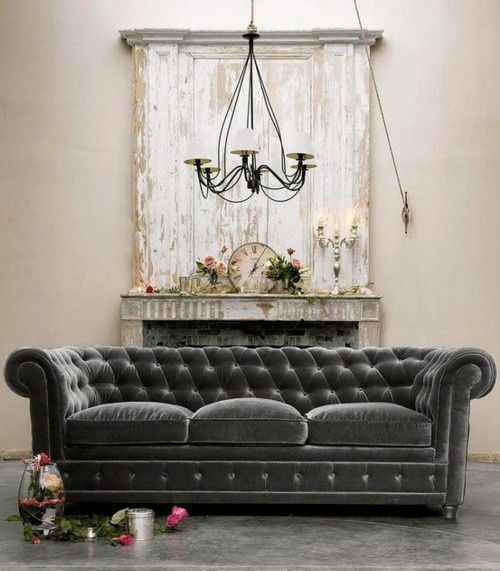 Love all these pieces, especially the tufted one! 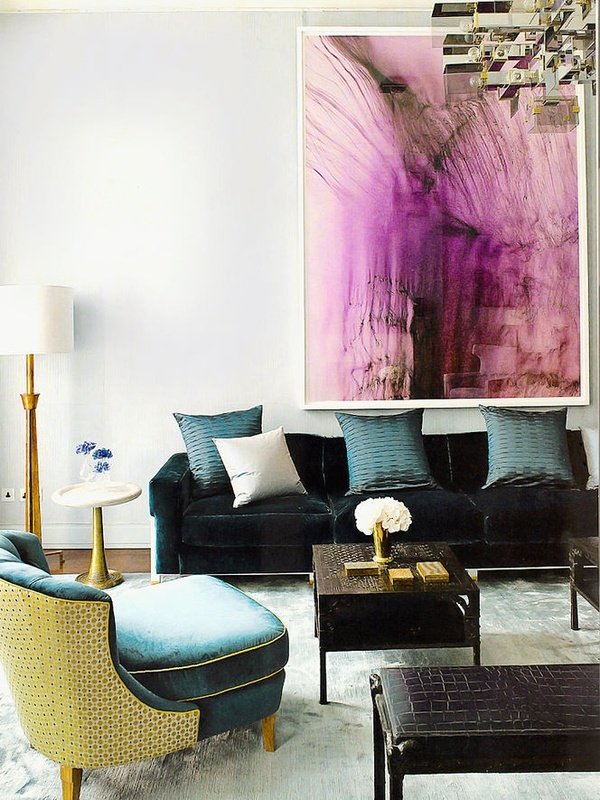 Now you are speaking MY language…I’m obsessed with velvet upholstery!! So chic!